In the current world of API, every mobile application and website have to communicate using dedicated API servers. These dedicated servers are explicitly set to handle the API calls for an application. API servers act as an intermediary between the application and the database. The bottleneck of this setup is that the API server has to be maintained to handle all the API calls. The increase in the number of API calls, increases the load of the API server which may require auto-scaling, which is cost-consuming. The latest approach of the best architects is to utilize a new AWS service that explicitly replaces the need for a dedicated API Server. 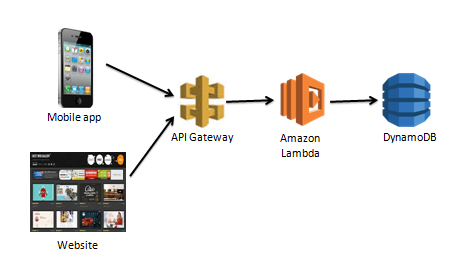 AWS API Gateway provides the ability to act as an interface between application and database which uses AWS Lambda function as the backend. 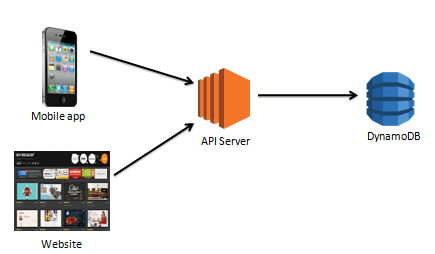 To get the essence of AWS API Gateway, we need to get hands-on with it. 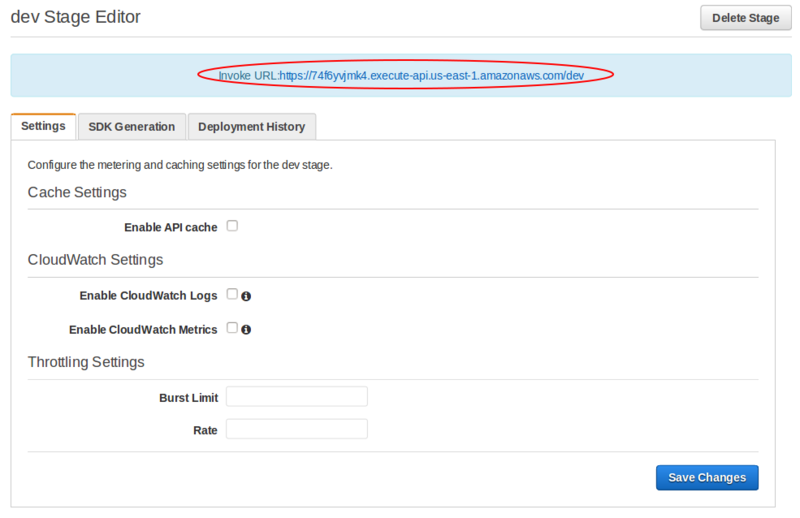 The next part of the blog is a detailed tutorial on how to use AWS API Gateway along with AWS Lambda & DynamoDB. People who are familiar with DynamoDB, API Gateway and Lambda can proceed with the high-level instructions. Also for people who are new to these services, there are detailed instructions which can be followed for step-by-step guidance. 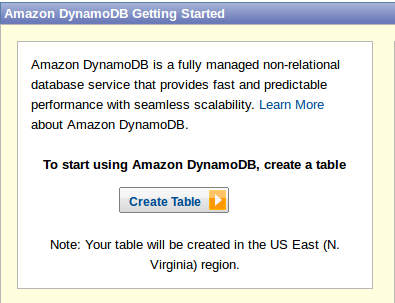 The first step will be to create a DynamoDB table which stores the data. 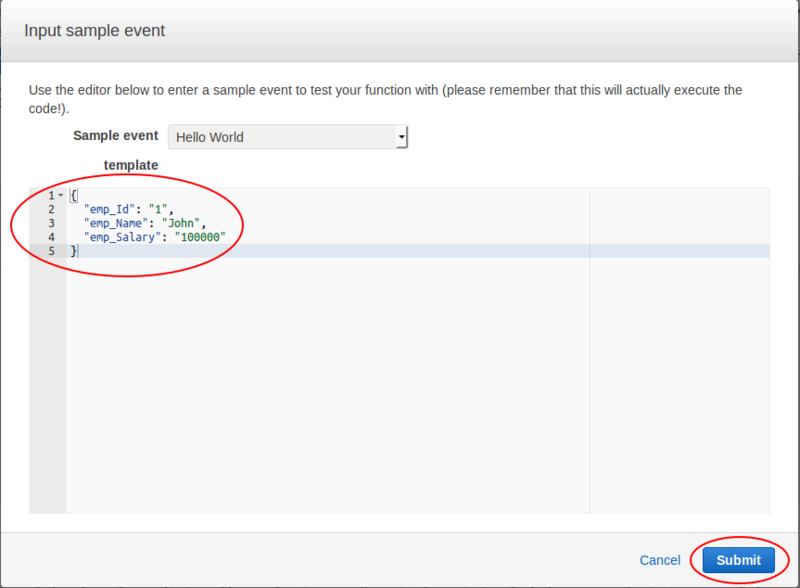 Next a Lambda function which inserts the data into DynamoDB table. 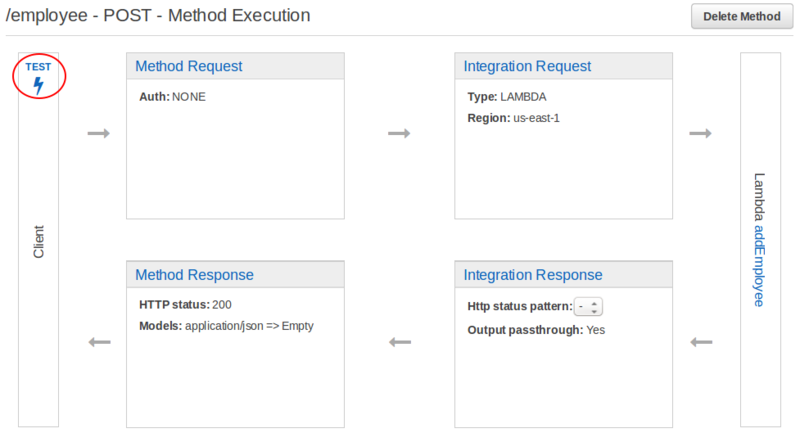 An API Gateway is setup to trigger the Lambda function. Finally a REST Client will be used to call the API. 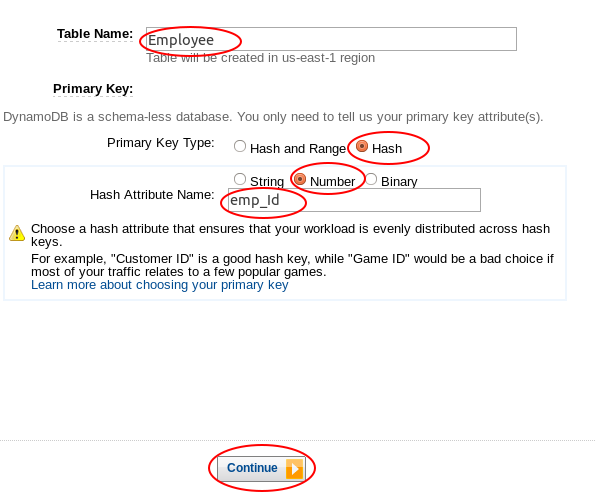 Create a DynamoDB table named Employee with the attributes of primary key as emp_id. Accept the rest of attributes as default and review the table details. Go to console.aws.amazon.com and sign into your account. 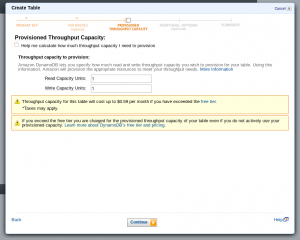 On the services dashboard select DynamoDB. Click on Create Table. Select Primary Key Type as Hash. Provide the Hash attribute Name (like an Primary key) as emp_Id then click Continue. Skip the Global indexes settings on the next screen. 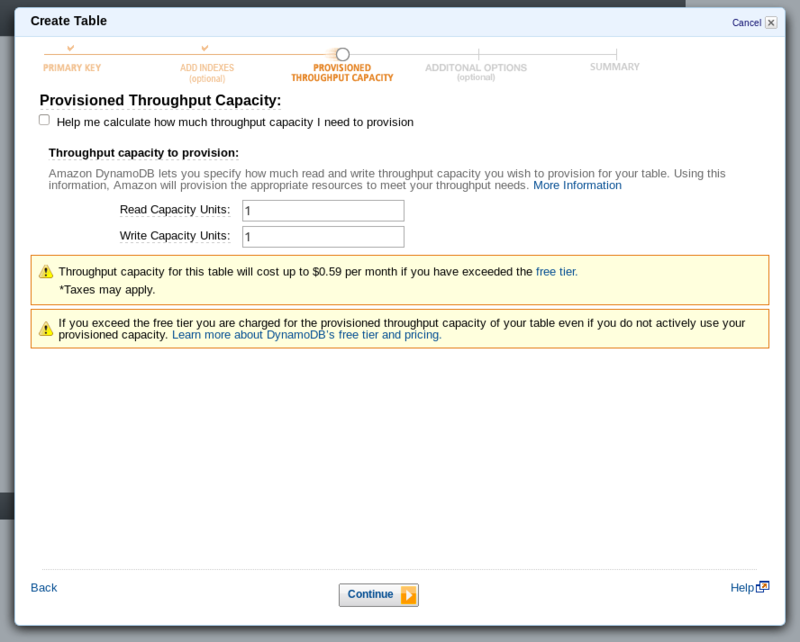 On the Provision Throughput Capacity screen, leave the read and write capacity as 1 then click Continue. Finally review the settings and click Create table. Create a node.js Lambda function called addEmployee. Use code from the following location, https://s3-ap-southeast-1.amazonaws.com/cloudthatcode/addEmployee.zip. 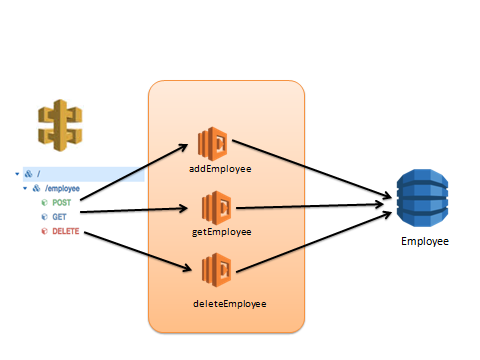 Replace IAM access and secret keys of a user with access to write into the DynamoDB table. 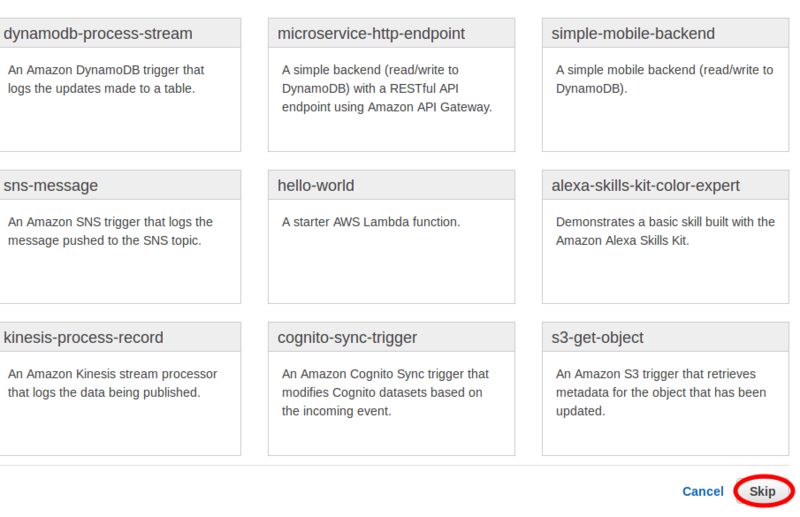 On the Lambda service page click on Get Started Now. On the next screen, click Skip. Enter the name of the function as addEmployee. Enter a description for the function. From the dropdown select the runtime as Node.js. Select code entry type as Edit Code Inline. Download the sample code by visiting this URL https://s3-ap-southeast-1.amazonaws.com/cloudthatcode/addEmployee.zip. Paste the sample code provided into the editor as shown below. 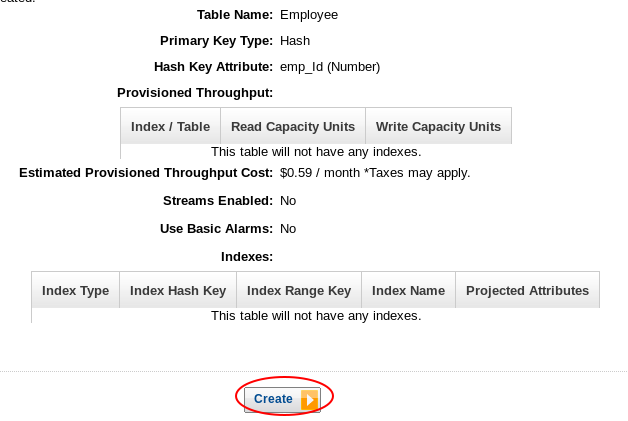 Create a user in IAM with access to write into the DynamoDB table. Replace IAM access and secret keys of that user into the code and save. Leave the handler as default. 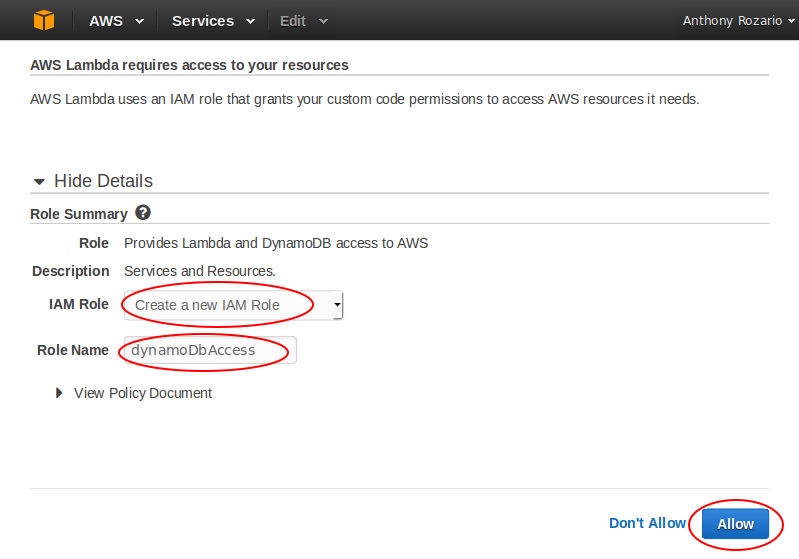 For IAM Role, select Create New IAM Role, select DynamoDb event stream Role, which will redirect you to the IAM Management Console. 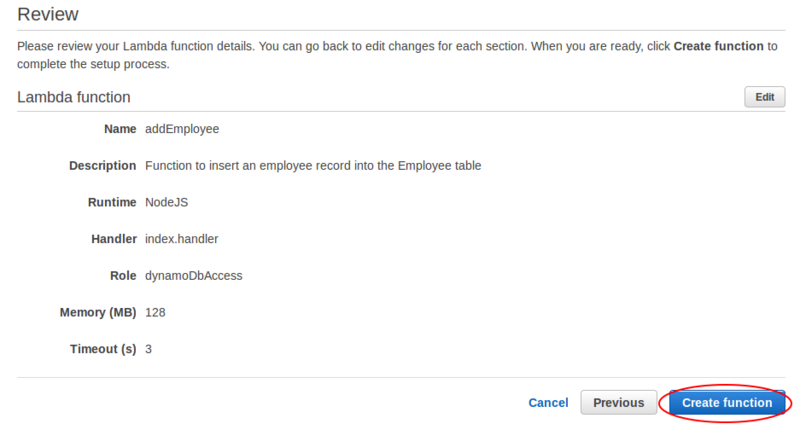 Enter the name as dynamodb-Access and click Allow. Under Advanced settings leave everything as default and click Continue. Finally review the function click Create function. Now we will test the function. Provide the parameters for the Lambda Function as given below and submit. 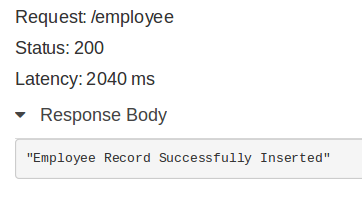 The Execution result will show as succeeded and the record will be inserted in the Employee table. 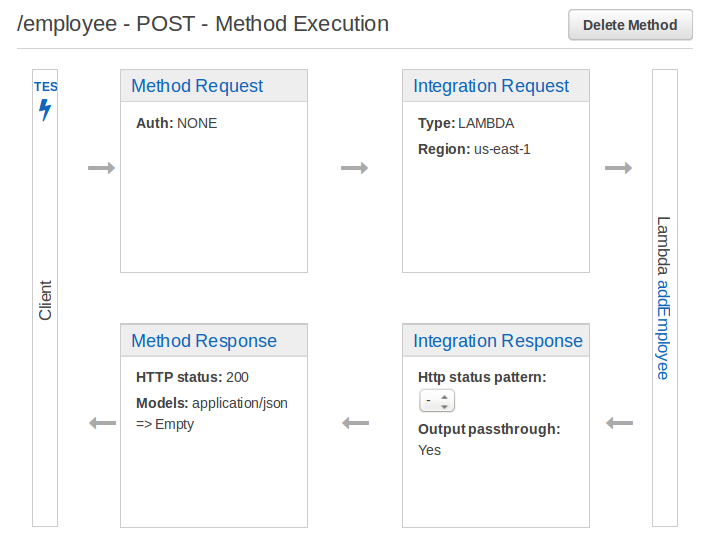 Next create an API called Employee_API, a resource called employee and create a POST Method. 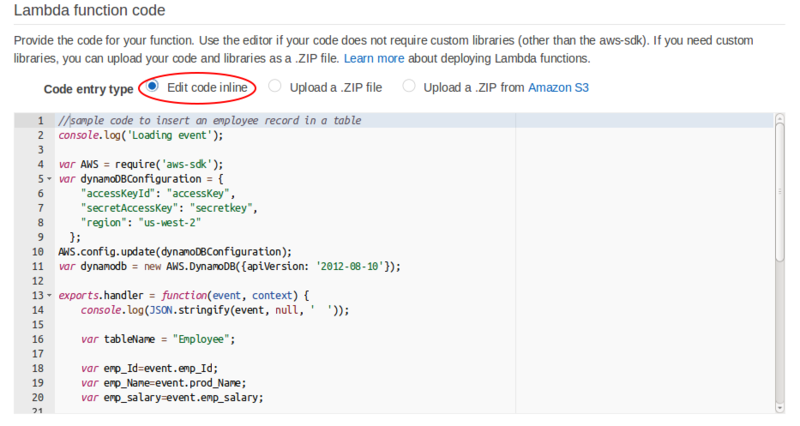 Use Lambda as the integration type and select the Lambda function you created earlier. Test the API with the following values from the console. You should see the entries in the DynamoDB table. For creating an API we need to create Resource, create POST method under the resource and utilize the Lambda function as integration type and the Deployment of API is up for launch. For creating API we will Create Resource, create POST method under the resource and we will provide the Lambda function as integration type and then we will Deploy the API. 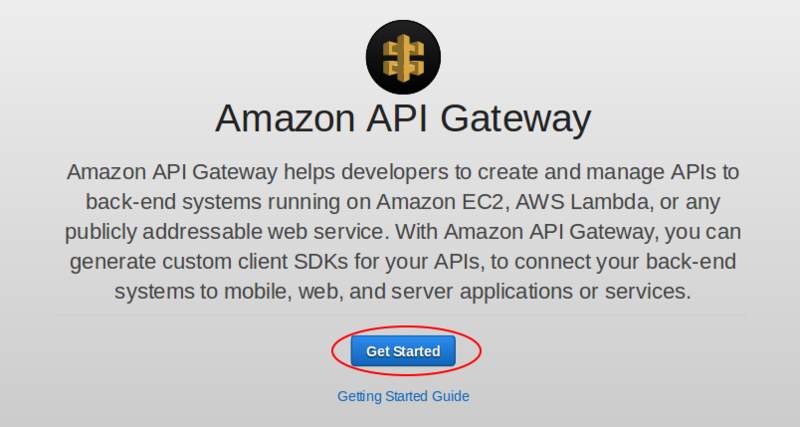 Go to the API Gateway service page and click on Get Started. 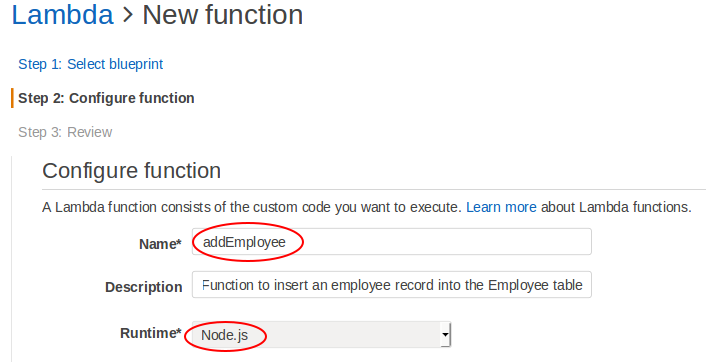 Enter the API name as Employee_API. Provide a Description and Create API. On the top right of the screen click on Create Resource. 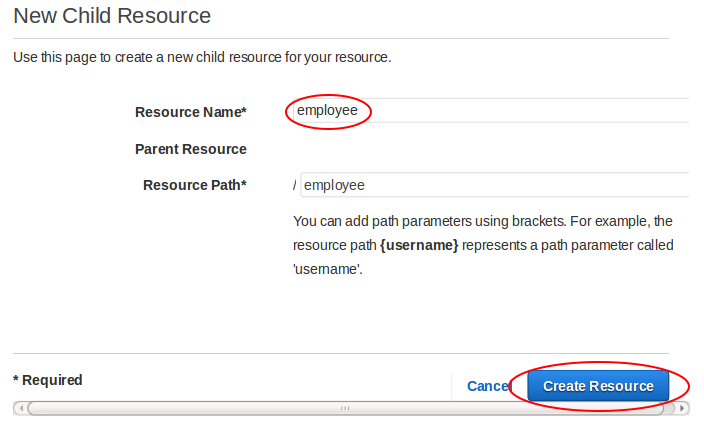 Provide the Resource Name as employee and click Create Resource. Select Lambda Function as the Integration type. 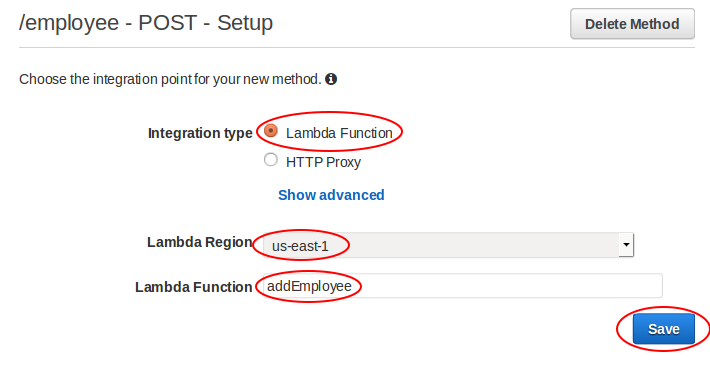 Select the Lambda Region and the Lambda Function you created earlier. The API has been created. Click on TEST in the console as shown below. Provide payload as given and click Test. You should will get a success response and check if the record has been inserted into the table. We will now Deploy the API. Click on the Deploy API. Once the Stage has been deployed and you will get the invoke URL. Check the DynamoDB table again for the entries. 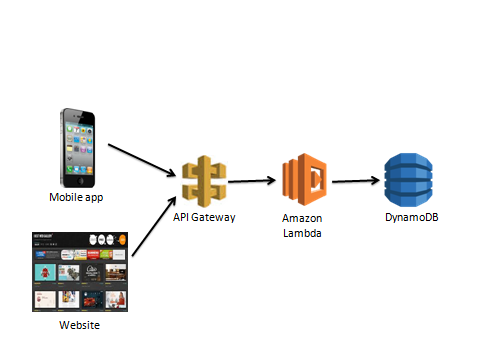 The response from the DynamoDB is processed by the Lambda function and routed via the API Gateway. Install the REST client for Mozilla/Chrome. Go to Add-ons/extensions and search for RESTClient and Install. Enter the Invoke URL as the URL. Add your Resource Name i.e. employee to the end of the URL. Enter the Payload as provided. You should see the a Successful response and the final employee entry added to the Employee table. 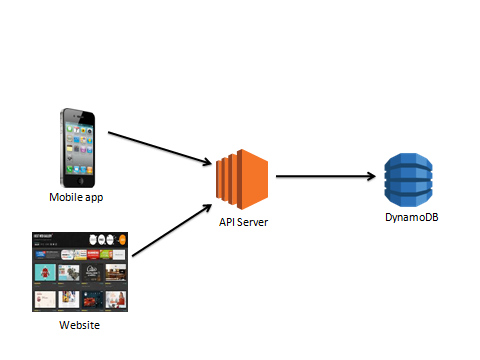 With minimal effort a REST API has been created which accepts data, which in turn gets processed by Lambda function and finally stored in a DynamoDB table. This API is ready for use and can be used in any application. 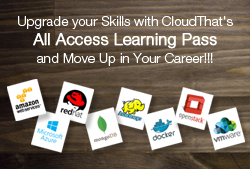 The API gateway frees the developer from maintaining infrastructure for APIs. 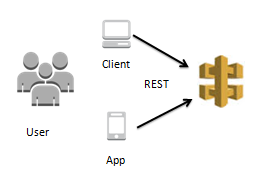 On the whole AWS API Gateway is a beneficial package for the developer. 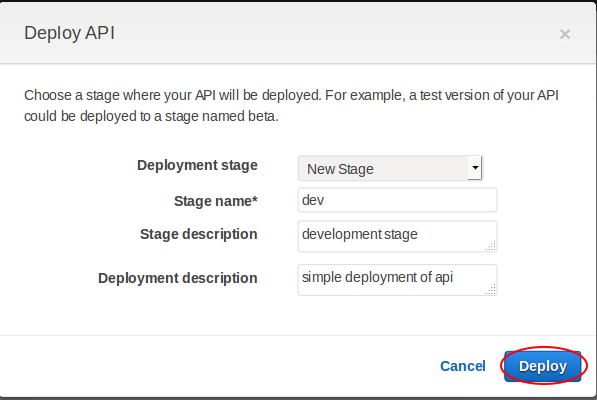 The API gateway provides nifty features where we can create different stages for development. It also has a useful testing platform which can be used to test the calls. It also provides caching and monitoring. Nicely written in descriptive manner.. Anyone can easily understand. You makes it quite easy..
Also..awesome salary assumption for jack. Kidding 🙂 thanks. Hey you’ve described it well. awsome ..thanks for sharing something good and interesting..
How to send apiKey in rest client request? Hi Mousami, I would be writing a blog on advanced topic related to API Gateway soon so you can find the instructions there. }. And the error message is : ” “errorMessage”: “One or more parameter values were invalid: Missing the key course_id in the item” . Can you help me please ? Have you an idea ? have you tried giving double quotation to 3 like “3”, if it works. 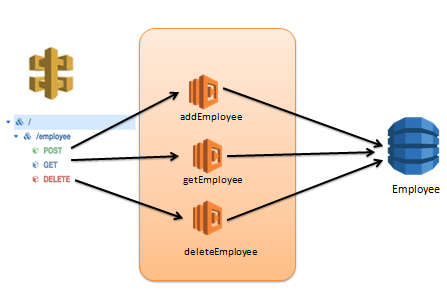 Can you integrate the RDS as you have done with the DynamoDB to use Lambda w/API Gwy? Yes, you can actually do that but you need to create package with all the dependencies and upload the zip file of the package to lambda. If you need any help post question to https://forum.cloudthat.com or comment here. 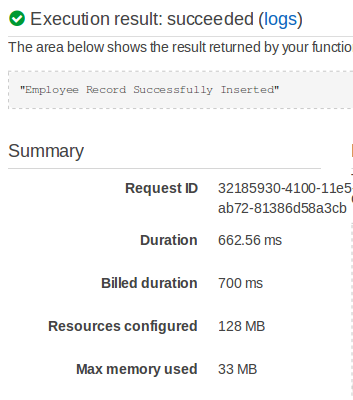 Is it a good idea to have ELB, just to ensure heavy traffic is equally distributed to API Gateway URL/Endpoint/URI? awesome one.. very clear. need more such topic pls.